McGowen's fifth grade choir performed several patriotic songs at the school's Veterans Day program on Nov. 9. The McGowen Veterans Day program was a celebration of those who have served our country. Cayli Walker was one of the fifth graders who spoke of her appreciation of veterans at the McGowen Elementary Veterans Day program. 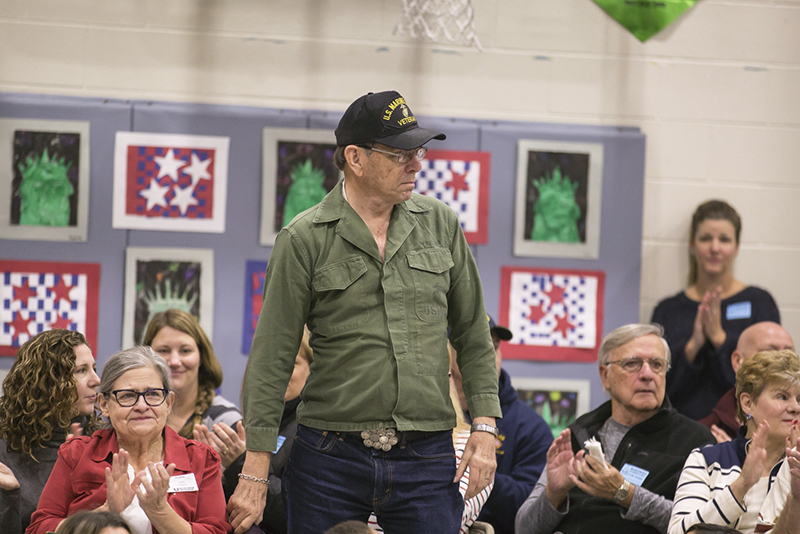 Veterans were asked to stand and be recognized and honored by students, staff and guests at McGowen Elementary's Veterans Day program on Nov. 9. McGowen Elementary kindergartners performed in honor of Veterans Day. McKinney, Texas – The slide show marched on as music played in the background, piped in through the gym’s P.A. system. Photo after photo popped into view on the drop-down screen—uniformed men and women in tan and green and blue smiling in front of American flags or posing for snapshots in far-flung military posts. They were U.S. veterans with familial connections to students or staff members at McGowen Elementary, and they represented every branch and military era going back to World War I. 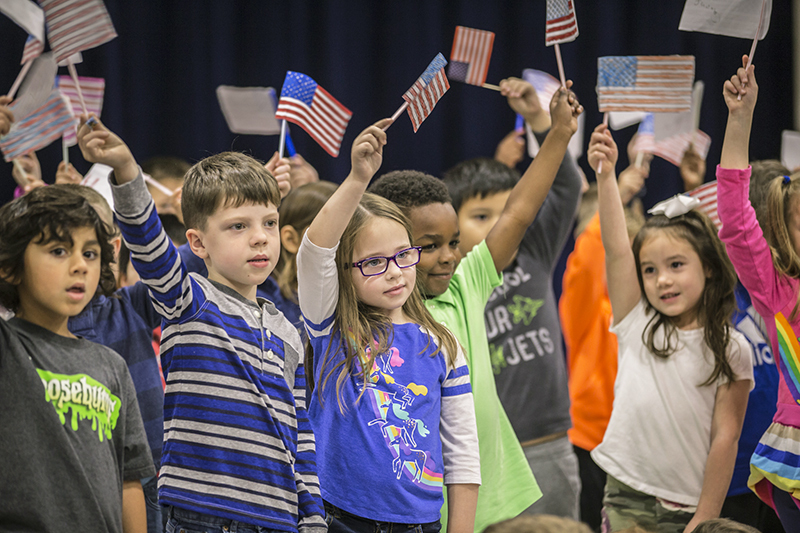 Students at McGowen Elementary celebrated veterans on Nov. 9. For all the songs and ceremony that had taken place earlier in the Veterans Day program, the slide show served as perhaps the most poignant reminder that our rights and freedoms as Americans have been defended and held secure by men and women that we encounter every day. They are fathers and mothers and grandparents and aunts and uncles and the neighbor across the street—seemingly ordinary people who have revealed themselves to be so much more through the sacrifices they’ve made to protect our liberty. Veterans were recognized and honored by students, staff and guests at McGowen Elementary’s Veterans Day program. 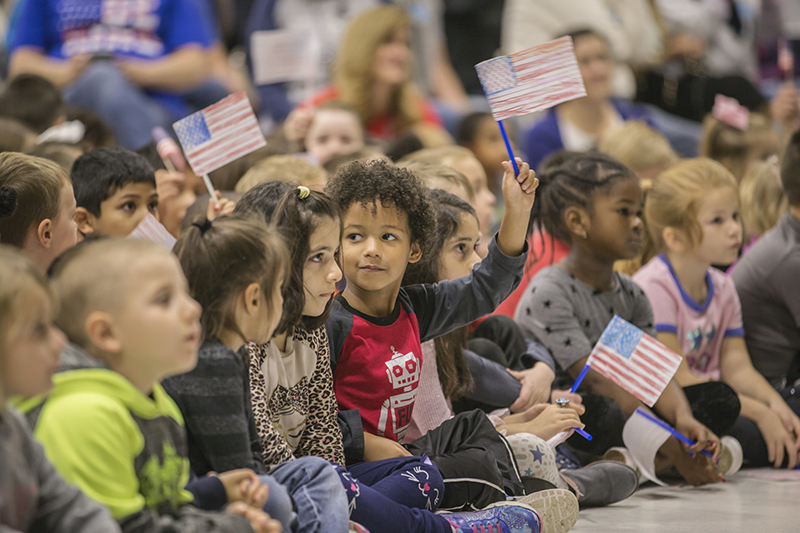 McGowen Elementary, like so many other schools over the past week, gathered to honor veterans for their service to our country. 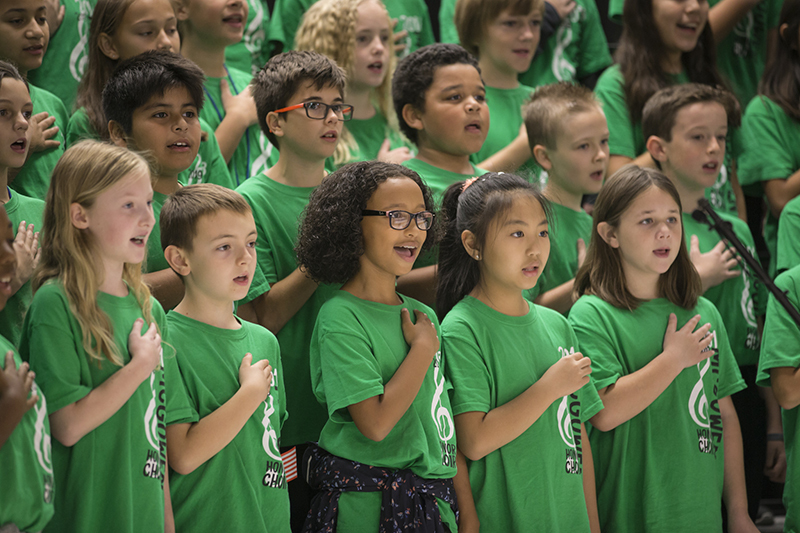 Student choirs and student speakers lent their voices to the effort, and kindergartners waving tiny flags served as a heart-tugging reminder that we must continue to preserve this great freedom. After the program, McGowen hosted a breakfast for the veterans in attendance, and they paraded into the cafeteria accompanied by proud McGowen students. Cayli Walker was one of the student speakers, and after the program, she sat next to her grandfather, Doug Maxwell, an Air Force veteran. The McGowen fifth grade choir performed several songs to honor veterans. It was most likely a response shared by many in the audience. And, rightly so. Because, it may very well be that the fundamental thing that sets veterans apart, that makes them so inspirational to the rest of us, is simply that they took that feeling of patriotism—and put it into action.